As you know, we like to remember automotive history here, so I’d like to focus a bit on the outgoing DTS. 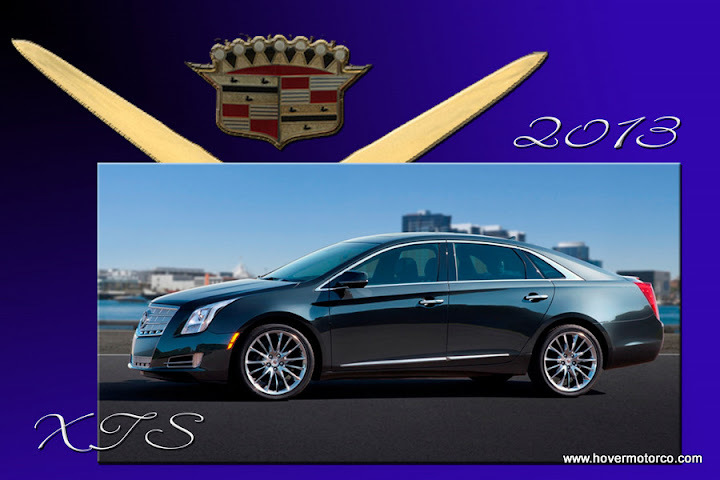 I have no doubt that the XTS will be a fine car, but that name change brings 62 years of history to a screeching halt. The name DTS was actually derived from the words “DeVille (AKA “Deville” or “deVille”) Touring Sedan.” And although people tend to think of them as upscale rental cars today, the first DeVilles were regarded much differently. This nameplate first arrived to much fanfare in 1949 on what was considered to be a very radical new car. The Coupe DeVille was a special version of the Series 62, and featured a beautiful, open-air, pillar-less hardtop. It was expensive, it was fancy, and it was hard to miss. All of Cadillac’s styling had changed enormously the year before, and their new-for’49 overhead-valve V8 was state-of-the-art. I can’t think of any aspirational cars today that have such widespread appeal as did the ’49 Coupe DeVille. 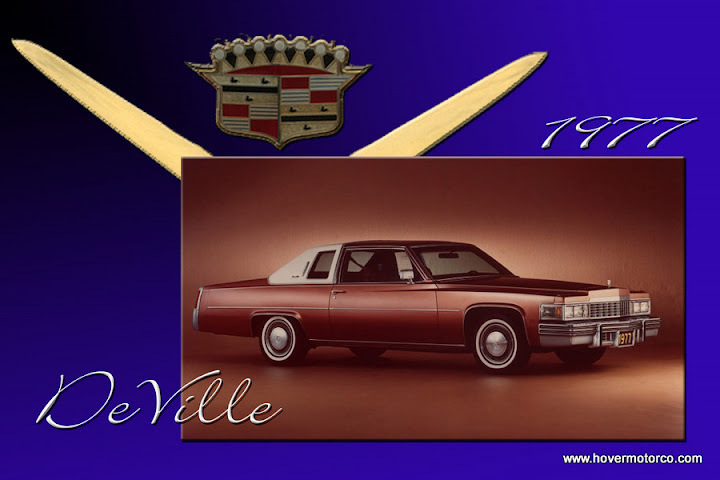 The Coupe DeVille continued to be an upscale hardtop, and followed all the yearly styling changes and enhancements of other Cadillacs. General Motors was known for changing their styling every year, so identifying one year to the next isn’t terribly difficult. 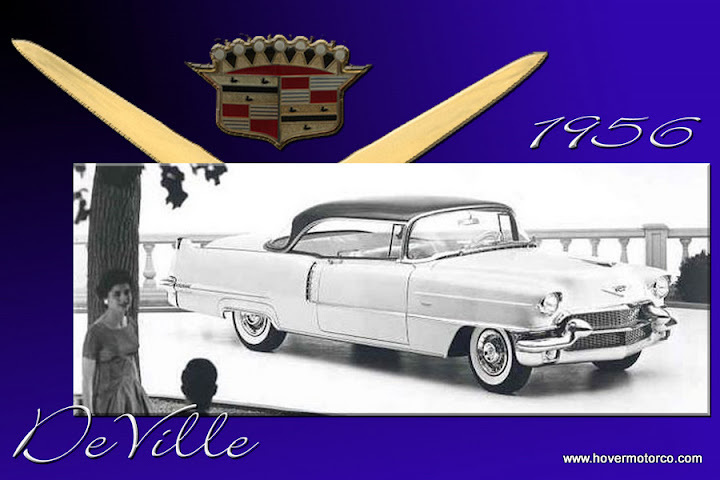 In 1956, the Coupe DeVille got a brother. 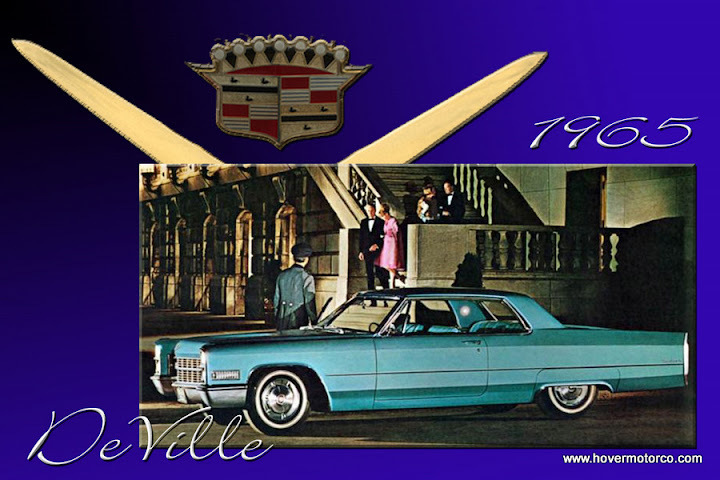 The Sedan DeVille borrowed the upscale touches of the popular Coupe, and offered them in a four-door hardtop. These weren’t as big or opulent as the top-level Fleetwood, but they were still impressive cars for people who didn’t employ a chauffeur. The DeVille followed the trends and fads of its time. In 1957, it lost the P-51 Mustang-Inspired taillight humps for large, pointy fins. By 1959, the fins had grown to otherworldly proportions. If you drove a Cadillac, you wanted people to know it, and the cars got that message across loud and clear. As the 1960s got underway, automotive styling became a little more conservative. The fins shrunk a little each year from ’60-’64, and buy 1965, they were gone. The quarter panels now ended with a vertical taillight housing pod, which is a design element that is still loosely referenced on today’s Cadillacs. Still, take the term “conservative” with a grain of salt, because these were still very large, very brash cars. By the 1970s, Cadillacs took on the same issues as most every other car. Big clunky safety bumpers, power-choking emissions equipment, and minor quality issues plagued the DeVille line. They were plush, though. So plush. Acres of soft, billowing leather; thick pile carpeting; innovative gadgets and options; and monstrous V8s kept Cadillac at the top of the food chain. A fairly significant departure from the original concept came along in 1974, when the Coupe DeVille ceased to be a traditional hardtop. Instead, it featured a more formal, closed-in rear glass treatment that left a little opera window for rear passengers to peek through. All the better to add a pillowed, rear-half vinyl top. Gotta’ love the ‘70s. Toward the end of the decade, General Motors performed some serious downsizing on most of their full-sized vehicles. 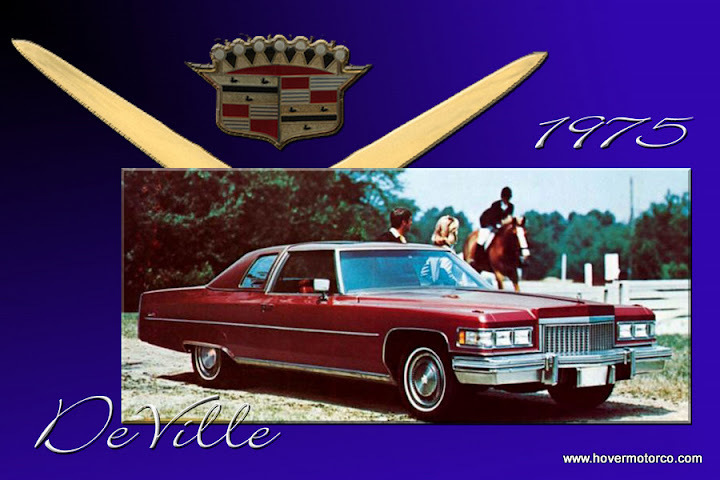 The DeVille went under the knife for the 1977 model year, bringing a much smaller (relative to the year before—not all that small today) coupe and sedan. 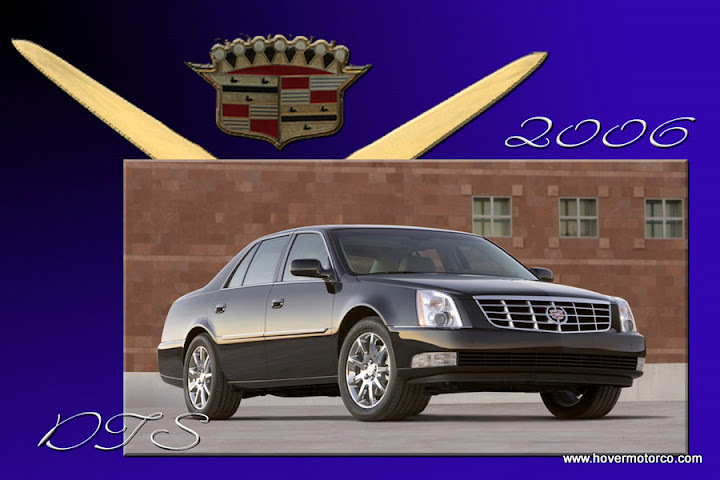 It also marked the end of the hardtop Sedan Deville, as it too picked up a center pillar. 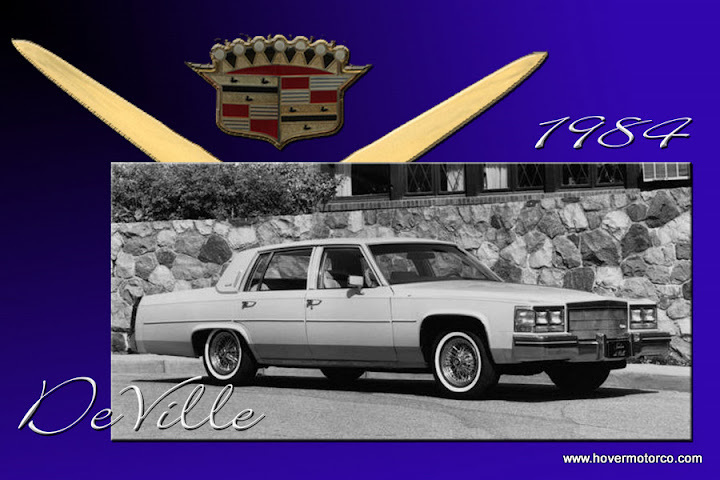 Cadillac redesigned things a bit in 1980, but this same basic style survived in the DeVille line until 1984. It hung on as a Fleetwood Brougham clear up until 1992, and a few more years after a redesign. During the 1980s, Cadillac tried all kinds of engine technology, including the much-criticized V-8-6-4 that clunkily deactivated cylinders in the name of fuel mileage, and even a diesel. Incidentally, when the Fleetwood Brougham version of this car finally went out of production, they finally got away from all these oddball Cadillac engines and fitted them with Chevy 350s. 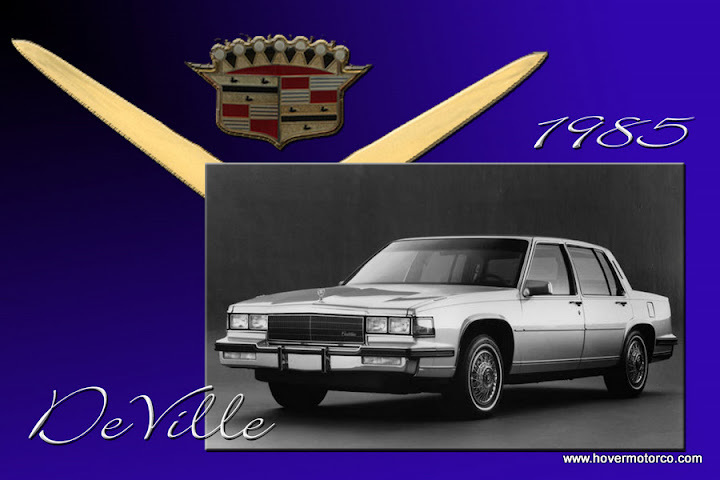 1985 was a pivotal year for the DeVille, and really for all of General Motors. The new DeVille was a small, front-wheel-drive offering with a small 4.5-liter V8. Cadillac still loaded these up with all the leather, fake wood, and accoutrements people expected in a Cadillac, but there was no denying that they looked like a Chevy Celebrity. It was a pretty modern car at the time, but now when you look back at the pictures, well, let’s just say it didn’t age well. Cadillac tweaked the design over the next few years, eventually lengthening the quarter panels, opening up the rear wheel wells, and making it look a bit more presentable. 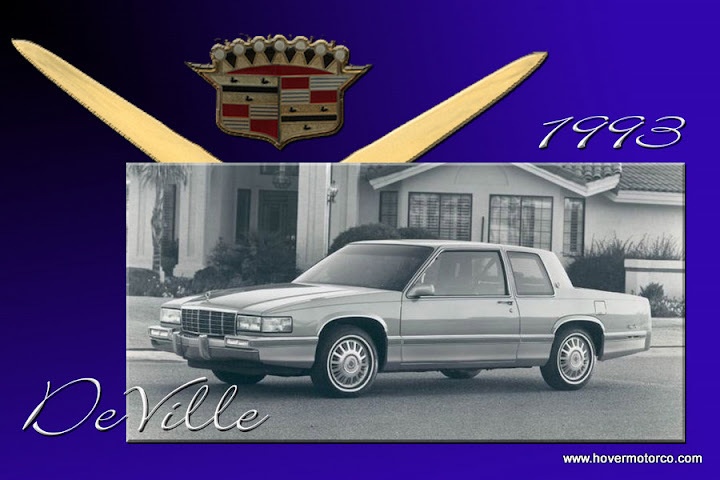 1993 was the last year for the Coupe DeVille, as the Sedan completely took over from there on. The Sedan DeVille got a complete redesign on a brand new platform in 1994. That, with the introduction of the high-tech Northstar V8, did a lot to boost Cadillac’s image after the damage caused by the little ‘80s cars. Another huge redesign came along in 2000, and would be the basic version that would be tweaked and massaged to the end. The DTS became a sporty option to the regular DeVille, and this car went on to quite a bit of critical acclaim. Eventually, it got a reputation as an old person’s car or a rental, but they were largely very good cars. The biggest complaints came from the Northstar engine, which while a great performer, had some issues with oil consumption and head gasket failure. 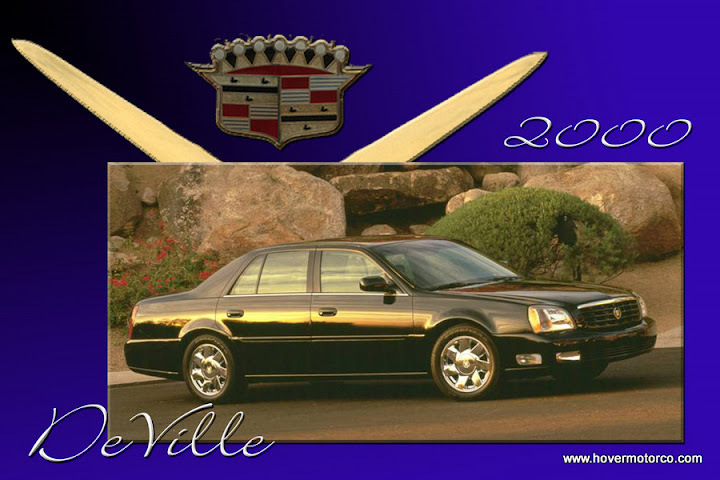 A final refresh took place in 2006, and the DeVille name was completely dropped. Now, all of these cars were known as the DTS. The Northstar had been massaged into a much more reliable engine, there were obvious improvements in quality, and they were by far the best of the front-wheel-drive big Cadillacs. 2011 is the final year for the DTS. 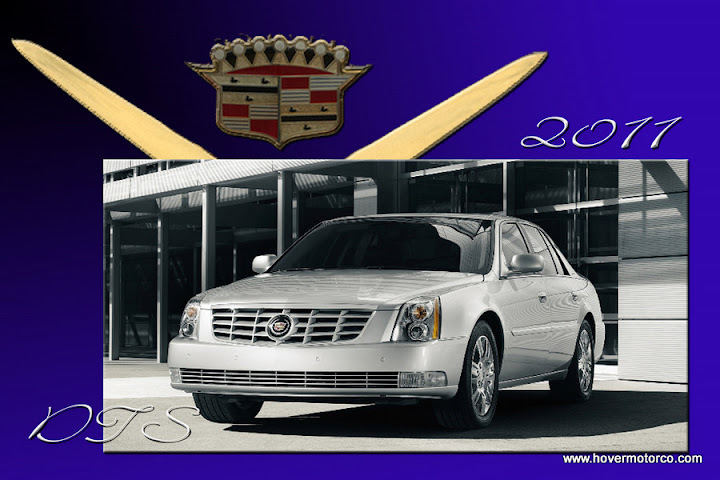 The new XTS will be a 2013 model. Believe it or not, I actually spent a lot of time on the slideshow below. I don’t always have the time or motivation to do what I want, but I really do try to make this place look nice sometimes. Of course, I always think making these little photo compilation things is a good idea until I do a few and realize there are like 60 to go. 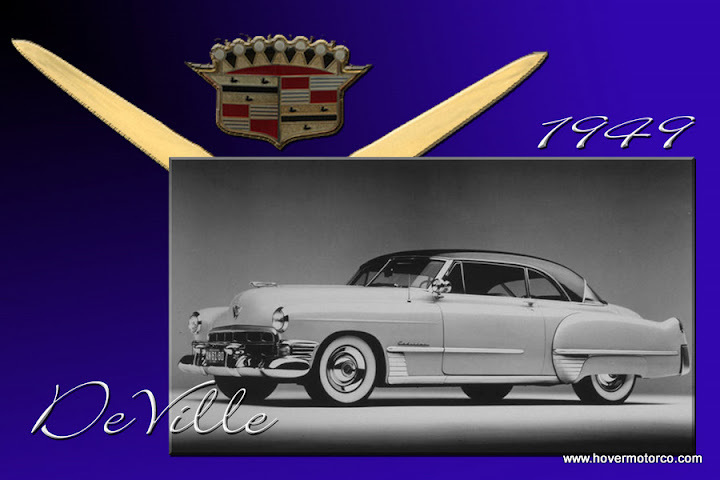 Anyway, there’s one for every year of the DeVille, from 1949 to 2011, plus a couple of the new XTS. I hope you enjoy the show! Nice to see the evolution of a car we could once call "THE LAND YACHT". The 1965 DeVille on here is a 1966. The 1965 had a chrome parking light bezel grill. That looks like part of the chrome bumper. The 1966 just has a parking light on the fender. The 1965 just had more chrome. I should know I have had a 1965 Coupe DeVille going on 30 years now. I still Love It.